Dr. James Atkinson is a renowned surgeon in Los Angeles, California. He received his medical diploma from Wake Forest School of Medicine more than 20 years ago. Dr. Atkinson completed his medical education with a residency in general surgery at UCLA Medical Center and a fellowship in pediatric surgery at Children's Hospital and USC. He is licensed to practice medicine in California and New Jersey. His subspecialties are general surgery, pediatric general surgery, trauma surgery & surgical critical care. This doctor works at Ronald Reagan UCLA Medical Center. 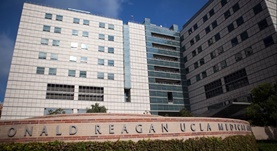 He serves as the interim associate vice chancellor and president of UCLA Hospital System. He was awarded the honors ACS Fellow and Super Doc. He is a member of the American College of Surgeons.